Someone asked us this question on our Support from Solid Signal Facebook forum. It’s a good question and admittedly, one that I’ve never thought of before. I should have though, because I know that an Advanced Installation Meter (AIM) is one of the most important tools for a DIRECTV technician. Without an AIM meter, it’s hard to complete a successful satellite dish installation. Fortunately, another member of the Solid Signal team answered the question. I’m sharing this information here in hopes of educating other satellite TV technicians about what to do if their AIM meter goes dark. Most satellite TV installers will tell you that their AIM meter is one of their most important tools. These handy devices help make satellite installation quicker and more accurate by locating the direction of DIRECTV’s satellite signals in the sky. This lets satellite technicians properly align their clients’ dishes for many years of satellite TV enjoyment. These invaluable meters are designed and manufactured Trilithic of San Jose, California. When I read this installer’s questions on our Facebook support page, I had plenty of questions myself. Is there a place that repairs these meters? What about the local electronics shop? Why not just buy a new AIM meter if your old one isn’t working? These are just a few of the things that raced through my mind after reading the person’s post. What can I say? I want to help everyone who comes to us, even if I don’t have all the answers. Buying a new one isn’t always an option because this is a premium tech product. Because the AIM meter is special purpose equipment, the folks at most “neighborhood electronics stores” might not know how to fix it. Since it works equally well on all new and old DIRECTV installations, few if any meters compare to the AIM meter. … How do You Fix Your Advanced Installation Meter? Simple: you send the meter to Trilithic, the manufacturer. The company’s experts will give you a quote on what it takes to fix it. At least one DIRECTV installer reported that his AIM meter was refurbished for $225, though I wouldn’t assume that’s a hard, fast number. It’s better to let the folks at Trilithic take a good look at your AIM meter to diagnose the problem and its solution. No one knows these devices better than them. You can reach the company at 408-404-9000, or visit the Trilithic website. Simply go to our Facebook group’s front page and click that big blue “join” button. This sends your request to our admins. They typically approve these requests in a few minutes. The “about” statement is rather to the point: “Get support from Solid Signal and the user community.” Our rules are fairly straightforward, too: treat everyone with respect and courtesy. Our team looks forward to answering your questions! 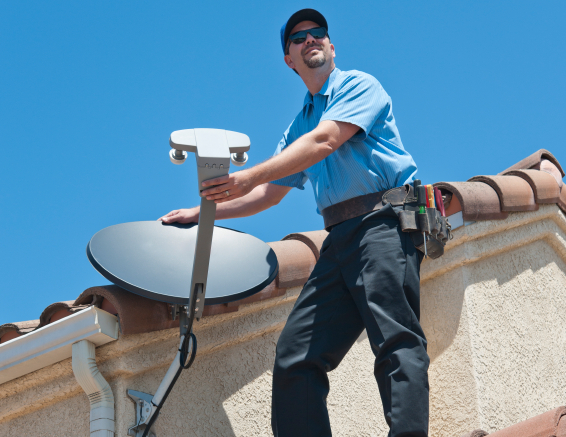 Are you a satellite technician or TV antenna installer? If so, you should know that Solid Signal carries a huge variety of the parts, tools, and other equipment you use every day. Just search through our website for bulk compression connectors, crimping tools, and custom-length cables. We also proudly carry the AIM meter and many other items of interest to installers just like you. We encourage you to visit our website and search for the items you need. You can also call our techs at 877.312.4547 if you have a specific question or want to place an order. TIP: Connect your Genie to the internet without a Cinema Connection Kit! What’s the most futureproof DIRECTV LNB?